God is an artist and flowers probably are one of his best creations. This wonderful gift of nature has been a rich source of inspiration to people for centuries. 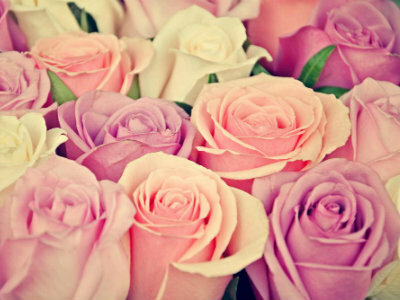 Their fragrance, beauty and bright colors are considered absolutely indispensable for special occasions like weddings. With more than thousand species of flowers, it can be hard for brides-to-be to know where to start! Fortunately, while wedding fashions tends to come and go, a few beloved flowers varieties, however, have stood the test of time and remain immensely popular with prospective brides. To help you narrow down your choice before meeting with the florist, take a look at our round-up of 5 favorite wedding blooms. Classic and beautiful, the rose has been used as a metaphor for true love, beauty and passion throughout the ages by romantic writers and poets. Coming in many different colors, sizes and shapes; being available all year round and surprisingly affordable; there’s no doubt rose is the world’s most favorite flower and often at the top of a bride’s wish list. Whether incorporated into a bridal bouquet or worn as a boutonnière, the rose is always a little bit sturdier than other blooms and deserves a popular choice of wedding flowers. 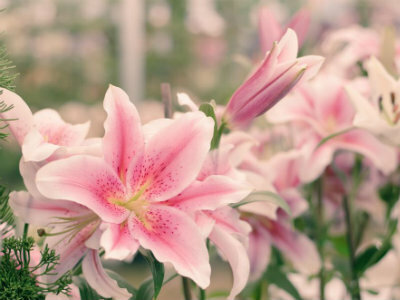 Lilies are a gorgeous flower that is loved by everyone. Their large, flat blooms that can really add shape and dimension to a luscious bouquet and improve the ambiance of any setting they’re placed in. They also come in a variety of colors from pure white to deep burgundy, making them an easy choice to go with. Available year round, simple and very affordable, there’s no surprise that they are commonly used in weddings and other events. Nevertheless, while many people adore its strong fragrance, a few people still have allergies to its scent, making you weight this factor in when deciding whether to use lilies or not. Symbolizing happiness and having a large, full head, delicious scent and bright color, peonies are the all-time favorite for brides. Their big, fluffy petals can fill out any bouquet or centerpiece without adding too many of them yet still make an impression. Moreover, peonies can go well with cheaper blooms like roses and lilies as well as their pastel varieties can complement almost every wedding color schemes. 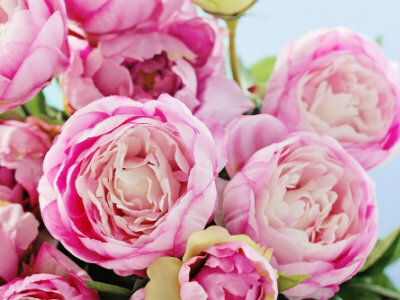 However, peonies are seasonally available from late spring to early summer and if you are a little scent-sensitive, you may better use another blossom for your majority of décor and bouquet. Thought to represent charm, beauty and luxury, orchids are usually the winner when it comes to destination weddings. These graceful blooms are available in beautiful shades of white, pink, green, deep purple and more. Whether you’re going for a traditional or modern theme, orchids can be gorgeous in full arrangements or single stems. 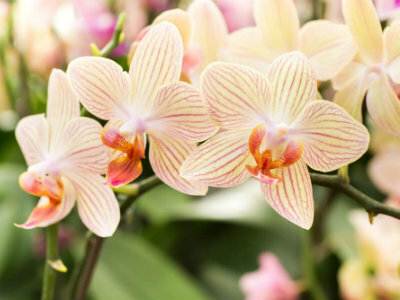 Furthermore, their resistance to heat and dehydration makes orchids a perfect choice for summer wedding. It comes as no surprise that many brides love including hydrangeas in their wedding flowers. With its big bushy head and a variety of colors, hydrangeas can quickly fill up any bridal bouquets or centerpieces while adding a touch of vintage glamour to them. These fabulous flowers are also super affordable during the summer when they’re in season. 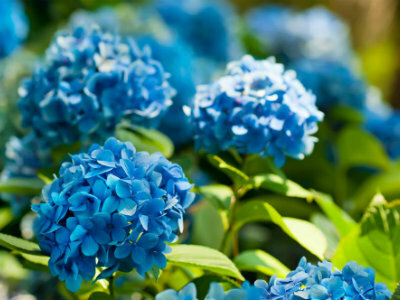 Available in countless colors, hydrangeas can be mixed with other blooms to create a look you love. For a formal theme, nothing will beat a beautiful mix of hydrangeas, roses and peonies while pale green and white shades of hydrangeas will complement a classic one.